"(Speegeltog) is realistic and funny, a likeable narrator we come to care about quickly..."
"...a fresh voice in the YA book world ..."
"... smart, sarcastic, and confident .."
"A great character for YA readers to connect with..."
"(The Illustrations) are excellent, vivid, conveying movement.."
"The author’s rendering (of Bullies) is spot-on..."
"...beyond excellent.... 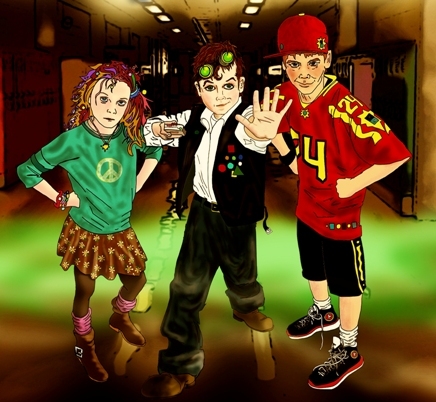 Physical descriptions of the characters are nuanced and creative..."
Welcome to the Official Web Site for P.E. Musik's SPEEGELTOG! Speegeltog's Newest Adventure is now available in Paperback and Digital formats. Clifford Speegeltog used to live in a house with the biggest bullies in the neighborhood. Recently, his life had made a change for the better. He had a new home, new friends, a room full of great toys and, best of all, Speegeltog had traveled through time, on countless adventures, with his friends Molly & George. Unfortunately, upon returning to school, he had a new problem: A bully named Rick Walton. 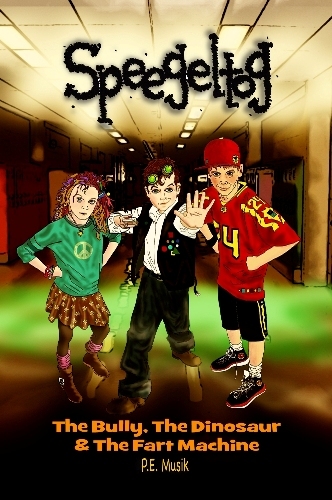 Join Speegeltog, his new friend Red McPhee and the infamous Buster Brightbuckle on a brand new adventure filled with bullies, dinosaurs and one or two fart machines.